Season Spa is the place for indulgence. Whether you’re looking for a place of tranquility, relaxation, facial, image or body treatment, our experienced service providers will relieve your tension and make sure you leave feeling and looking your best. At Season Spa we are dedicated to a clean and friendly atmosphere. We use natural, non-acidic products of utmost quality on all our facial and body treatments. Tools are sanitized in medical grade autoclaves, or a personalized set is available for purchase. All other materials are disposed after each use. 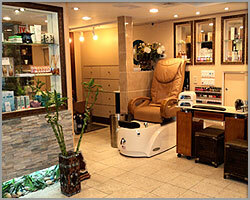 Season Spa is conveniently located in the heart of Chinatown. If you would like to make an appointment or have any questions please call us at 212-966-7416 or 212-966-5975. Acceptable forms of payment include cash, debit cards and major credit cards. Check out what Time Out Magazine had to say about us! • Get yourself a fresh, rejuvenated face. • Unwind with these rubdowns.